Green Stuff. Great long bar from the 80's. 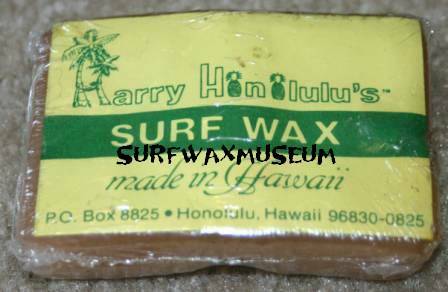 You can see the price of wax really has not changed much at all in 25 years. 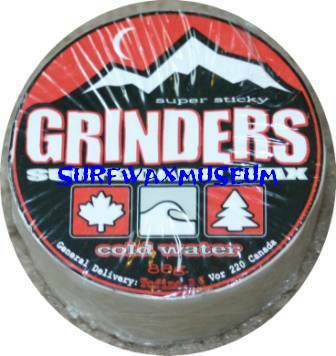 Grinders. 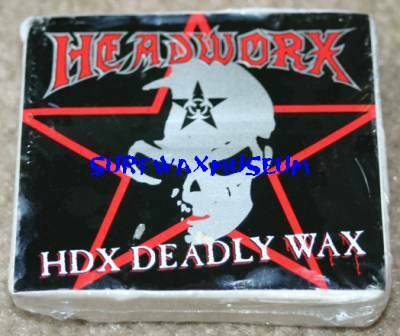 This is the only commercially produced wax from Canada. Grippers. Got these from a shop in Florida. G Spot. Australian. 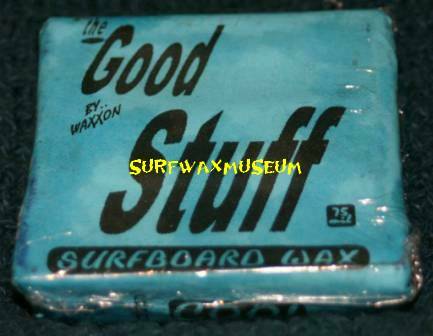 Come on, most women love their G Spot rubbed on a guy's board. 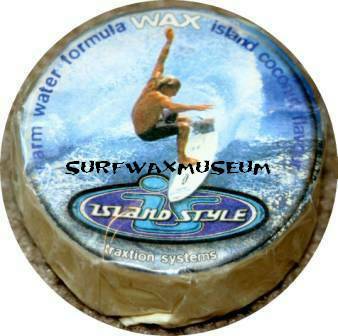 Gulfwax. 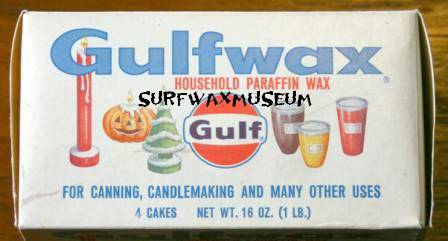 Original box of household Gulfwax. 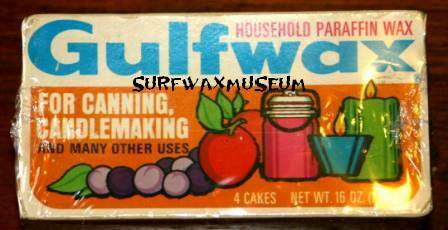 Similar type of deal as the other household waxes. 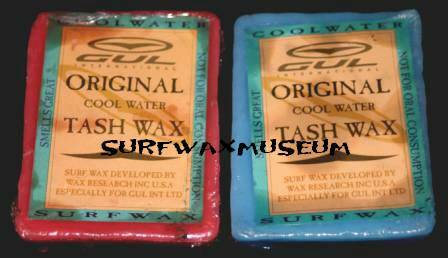 GUL Tash Wax. 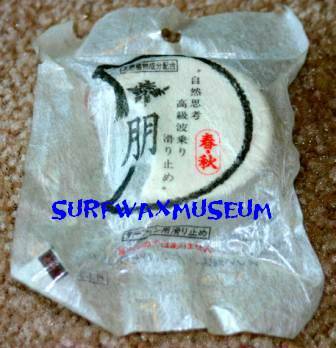 Label says it is made by Wax Research, but it came to me from the UK. Harry Honolulu's. Early 80's bar from Kaua'i. Never getting rid of this one. 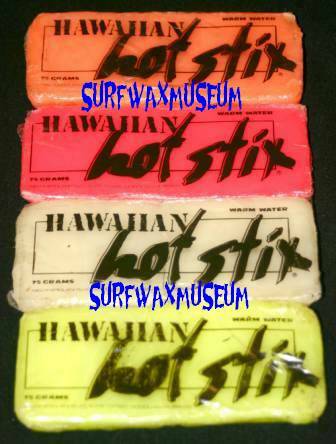 Hawaiian Hot Stix Set. All from the 80's. This is how I usually bought 'em. 1 set at a time. Hydrolite. 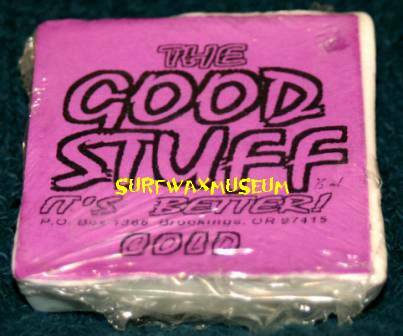 Came from the Lincoln City Surf Shop. Year/maker??? Isalnd Style. Made in South Africa. Not sure of the year it was made though. Japanese Half Moon. Made in Japan. Year?? ?